Spain is the third largest producer of wine in the world, following Italy and France. Spain has an abundance of native grape varieties, with over 600 varieties planted throughout Spain, through 80 percent of the country’s wine production is from only 20 grapes. Archaeologists believe that grapes were first cultivated in Spain sometime between the third and fourth centuries BC. In recent years, the quality and production volume of premium wines has begun to overtake the presence of generic Spanish bulk wines on the market, establishing Spain’s reputation as a serious wine producing county that can compete with other producers in the world wine market. Robert Parker rating of 90. International Wine Cellar rating of 90. 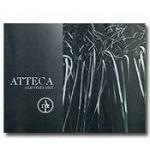 Listed in the top 1001 wines to try before you die book. 100% Syrah. Gains sweetness and energy on the finis... Stephen Tanzer. A Tempranillo wine from Ribera Del Duero in Spain. 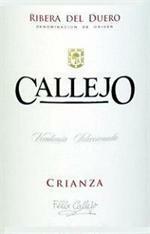 2005 Felix Callejo Crianza 750ml Wine Spectator rating of 93. 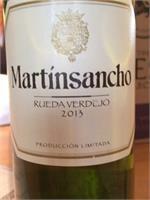 I am always impressed by MartínSancho whenever I taste it. This is a classic expression of Verdejo and one of the great Spanish white wines. 2006 Numanthia Termanthia. Excellent Tempranillo from a great estate in Spain, Bodega Numanthia Termes. Wine Spectator rating of 95. Wine Spectator collectibles. Espresso, graphite over juicy sour cherry. Silky, melt-in-your mouth tannins with a very tactile mineral layer. Very fine-grained and poised. 100% Tinto de Toro. This replaces Numanthia in Ordoñez' portfolio. 1001 Wines You Must Taste Before You Die. On the nose it shows floral aromas, lilacs and blue flowers. Fresh, intense and peculiar. 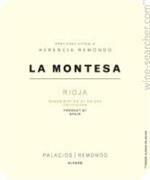 In the mouth, highlights its powerful fruity notes laced with roast oak and balsamic notes.